Visteon Corporation on Tuesday reported a third quarter 2005 net loss of US$200 million or $1.58 per share, which includes $11 million or $0.09 per share of special charges for "non-US employee actions". This compares with a net loss of $1.4 billion or $11.48 per share for the third quarter 2004, which included $1.3 billion or $10.13 per share of special charges mostly related to deferred tax asset valuation allowances and asset impairments. Q3 2005 sales of $4.1 billion were down $15 million compared with the same period last year, as higher non-Ford sales of $108 million were offset by lower sales to Ford. 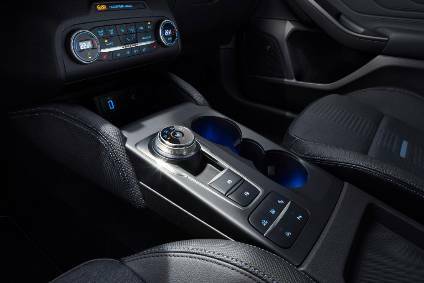 Non-Ford sales for the quarter totaled 36% of total revenue, up 3% year on year. "During the third quarter we completed the definitive agreements with Ford and established Visteon Services, which now supports approximately $7 billion of annual business Visteon transferred to Automotive Components Holdings on October 1," said Visteon chairman and chief executive officer Mike Johnston. "The sector continues to be difficult as production levels and commodity prices remain uncertain. However, with the successful completion of our discussions with Ford, Visteon is positioned for improved performance in 2006 and beyond. We remain focused on improving our operational results and cash flow generation." For the first nine months, Visteon reported a loss of $1.6 billion, or $12.73 per share, including unspecified "special charges" of $1.2 billion or $9.49 per share. This compares with a loss of $1.4 billion or $11.16 per share for the first nine months of 2004, which included $1.2 billion or $9.75 per share of after-tax special charges. Nine-month sales totaled $14.1 billion, up $133 million from the same period a year ago. Non-Ford sales of $5.0 billion increased $900 million or 22% year-over-year and represented 35% of total sales. 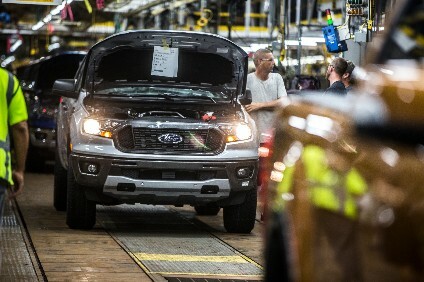 Ford sales for the first nine months decreased 8% to $9.1 billion, primarily reflecting lower Ford production volumes and customer price reductions. Currency favourably impacted total sales by $318 million. Visteon expects its fourth quarter 2005 automotive and glass related sales to decrease approximately 40% as compared to fourth quarter 2004 sales of $4.7 billion, with more than half of these sales coming from non-Ford customers. It expects to reduce its operating loss when compared to the third quarter of 2005 but does not expect to achieve operating profitability or positive cash flow from operations in the fourth quarter.